Happy Friday, folks! Thanks for all the feedback on next month’s sewing challenge. The Alma blouse is the leader at the moment, with Renfrew coming in second. If I have time, I may make both! You can still vote up until next Friday. 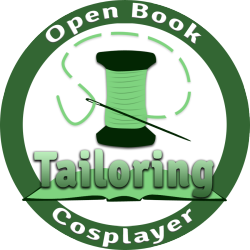 I’m making some efforts to post more consistently on this blog, so I want to try out Feature Fridays for things that aren’t necessarily related to sewing or cosplay. To kick this off, I want to share a project that some lovely ladies in the geek community just started: Superheroesque. Created by Liz Locksley and Mia Moore, Superheroesque is all about channeling your inner superhero and rocking it in the world. Superheroesque is a community about celebrating who you are and what you love. It’s a place where outrageous geekery is not only acceptable, but encouraged. No matter your race, size, shape, gender, creed, or background, everyone is welcome and encouraged to join the party. Superheroesque’s mission is to help you love who you are and work to be the best version of yourself possible. It’s not about perfection, it’s about progress and enjoying the process. We strive to create a community of not only self acceptance, but acceptance of those around you. Superheroesque is a home for everyone – a safe place for nerdy references, punny jokes, and critical geek culture discussions. Above all, Superheroesque is a judgment-free, positive zone of love and geeking out. You can read our official mission here. I’ve followed both of these ladies for a while, and I’m super excited to see this project up and running. Check ’em out on Facebook, Twitter, Google, and/or Tumlr for more updates! I’ve been loving this new site! Previous Previous post: Monthly Stitch Challenge: Tell me what to sew!